Jeremy Thrush has made 10 good tackles so far this game. Tom Savage has made 10 good tackles so far this game. Northampton have won 80 rucks so far this game. Northampton decide to make a substitution, with Francois van Wyk getting some game time. Northampton decide to make a substitution, with Alex Waller being replaced. Stephen Myler adds the two points for Northampton. The Northampton pack has powered over for Mike Haywood to score the try. Northampton make a substitution with Api Ratuniyarawa coming on. Northampton make a substitution with Michael Paterson coming off. Northampton sub Ben Foden comes onto the field. Tom Collins departs for Northampton. Mike Haywood comes on for Northampton. Dylan Hartley leaves the field. Val Rapava Ruskin comes off. Owen Williams does the business as his conversion attempt goes over. 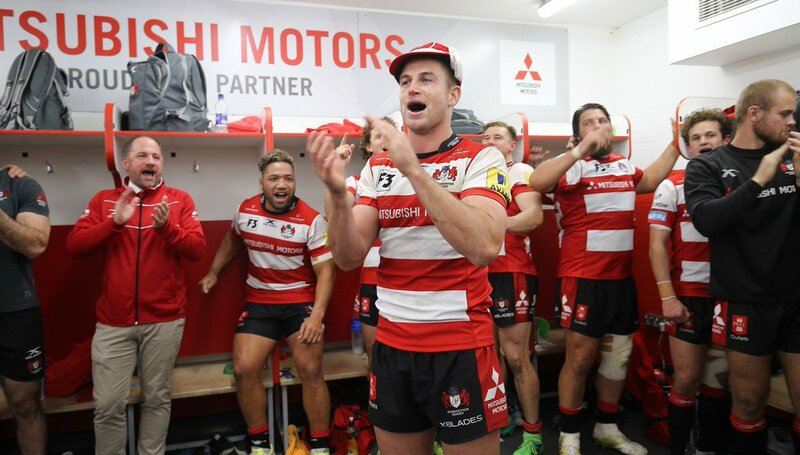 Gloucester decide to make a substitution, with Motu Matu'u getting some game time. 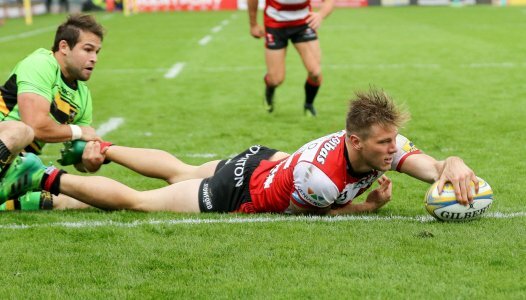 Gloucester decide to make a substitution, with Richard Hibbard being replaced. Willi Heinz goes on his own for a try. Dylan Hartley has made 10 good tackles so far this game. Owen Williams makes no mistake with that conversion attempt. Northampton make a substitution with Courtney Lawes coming on. Northampton make a substitution with Sam Dickinson coming off. Northampton sub Stephen Myler comes onto the field. 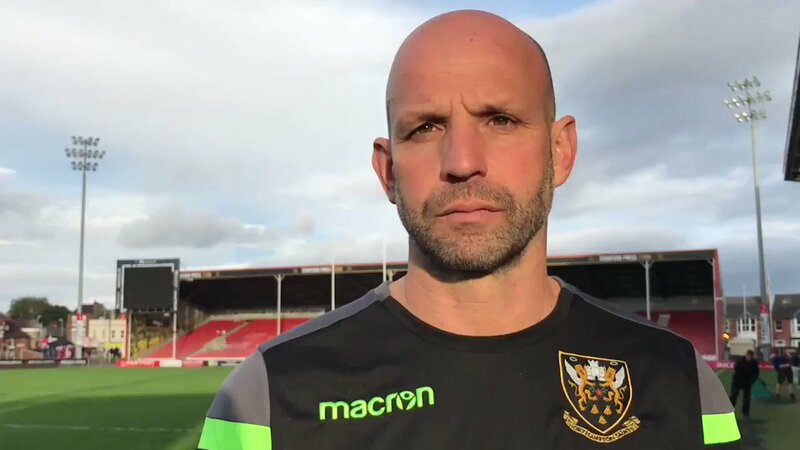 Piers Francis departs for Northampton. Henry Trinder makes the break as the defence re-enacts the parting of the red sea. Willi Heinz sets up the try. Gloucester are only a few metres out, surely they must score! And they do with Billy Twelvetrees touching down. 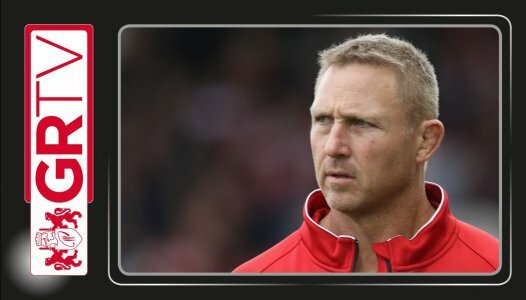 Harry Mallinder has kicked a penalty goal. Northampton have won 60 rucks so far this game. Jacob Rowan has made 10 good tackles so far this game. Harry Mallinder steps up to take the penalty but pulls it wide and to the left. The ball swings towards the posts but floats to the right, Owen Williams will have to re-adjust the radar. The kick through from Gloucester has allowed Jason Woodward to touch down. Harry Mallinder converts the try. Fabulous play by Northampton has led to Ahsee Tuala being able to wriggle through a gap. Spellbinding play by Ahsee Tuala is finished off with a try. A series of passes by Northampton results in a try for Harry Mallinder. Owen Williams curls the ball too far, missing the posts to the right. 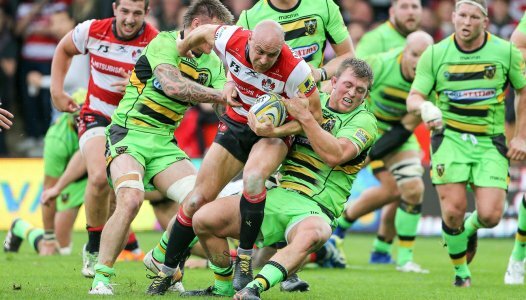 Willi Heinz played a key part in that try. 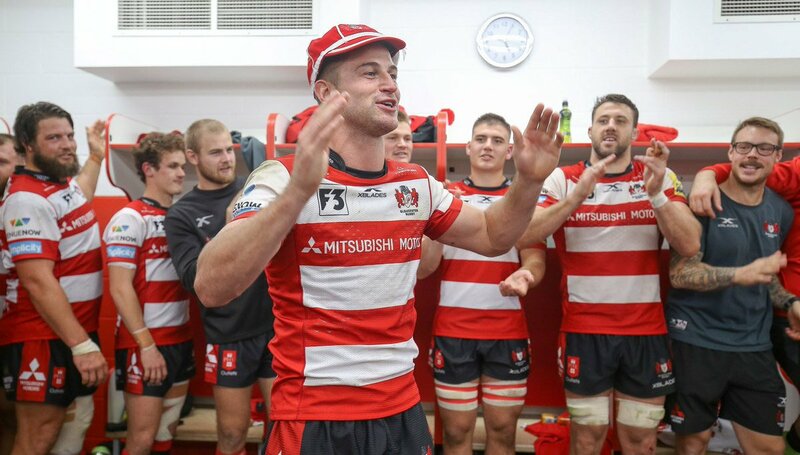 A bit of individual brilliance by Henry Trinder leads to a try for Gloucester. Northampton have won 40 rucks so far this game. Teimana Harrison comes on for Northampton. Courtney Lawes leaves the field. Harry Mallinder takes the penalty but the ball didn't come round, staying right of the posts. Harry Mallinder has kicked a conversion. Trouble here as Luther Burrell breaches the defence. That's a great try assist by Ahsee Tuala. Great hands by Northampton leads to a try for Jamie Gibson. Northampton have won 20 rucks so far this game. This is dangerous for the defence as Jacobus Reinach bursts through to advance the Northampton attack. Owen Williams has hooked the conversion to the right of the posts. Billy Twelvetrees sets up the try. A stunning solo try from Henry Trinder. A gap opened in the defence and Henry Trinder took full advantage. The defensive line has been broken as Henry Purdy goes through the gap. Owen Williams steps up to take the penalty but pulls it wide and to the right. 🎙 @c_reinach: "It's still early in the season, so there's still parts of the game that we want to improve on." 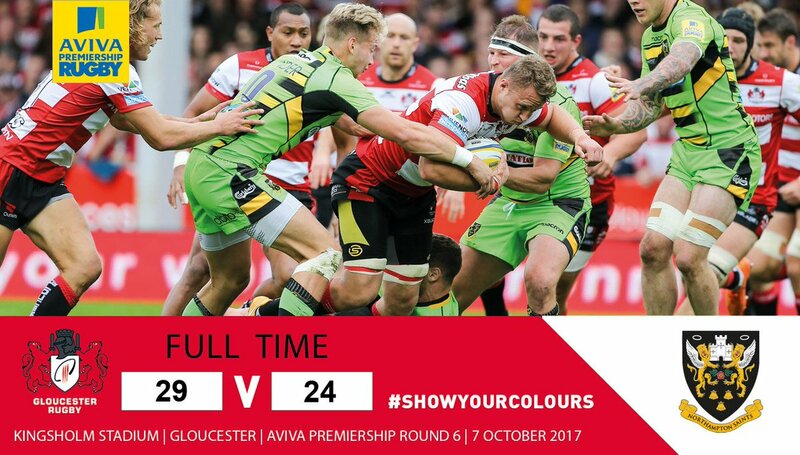 "I'm so proud of the squad for the way they bounced back"
Saints were ready to burgle the game, and the Cherry and Whites said not today!